When you’re truly in love, you will find romance wherever you and your partner are in the world. However, there are a myriad of breathtaking spots that make for a dreamy romantic trip together, perhaps to celebrate an anniversary, honeymoon or to make a proposal. Here are 5 of the world’s most romantic spots. Bali. The legendary Island to eat, pray and love. 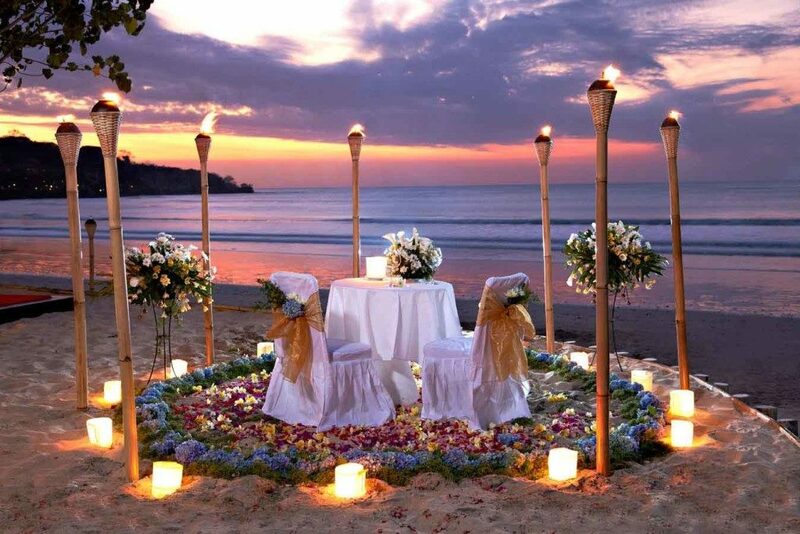 It’s also a stunning place for a couple to celebrate their love and enjoy views that will leave them speechless. The Udug Hanging Gardens Hotel is known to be one the best with its Panoramic Deluxe Pool Villa. Check out a photo or two before you book, and you’ll be completely convinced that this is the most romantic place in the world. 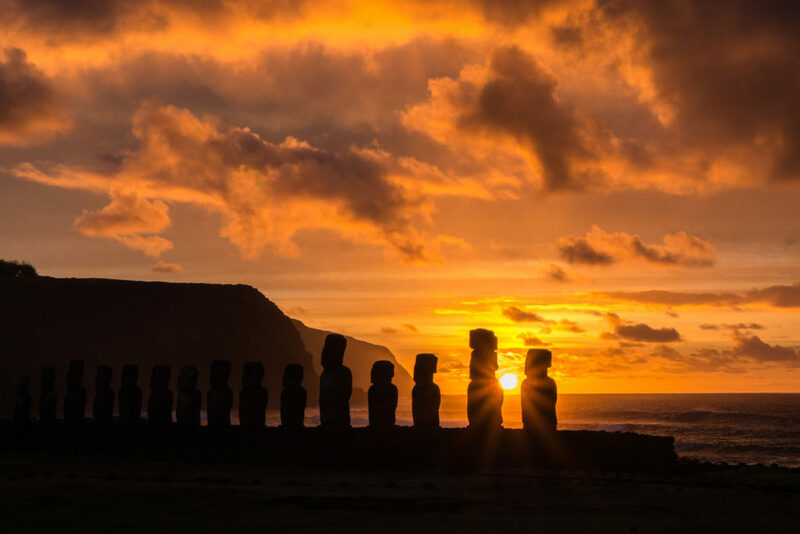 Easter Island provides what is the absolute epitome of sunsets. The sunsets over the Pacific Ocean in and of themselves make the Island incredibly romantic. The gorgeous Island also has unique statues that make it all that more charming. This romantic destination is ideal for couples who want to see the world together and experience an unforgettable adventure. 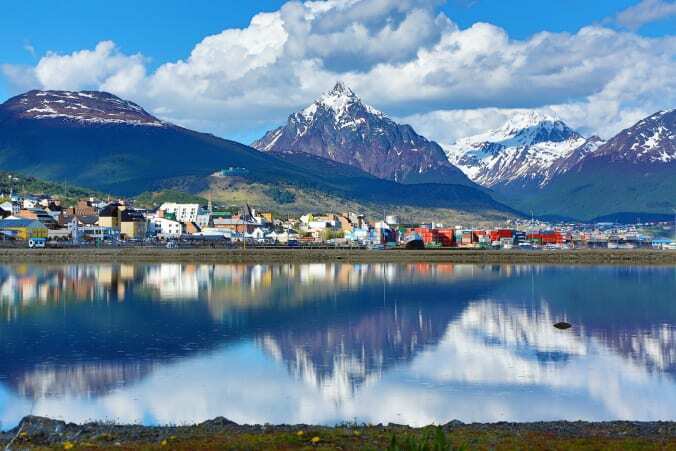 Ushuaia is the most southern city in the world. Which means it is literally located at the end of the world. So if you tell the love of your life that you would go to the end of the world for them, and really mean it, then this is place for you. The Les Eclaireurs Lighthouse offers a perspective you never thought was possible. This place is where you and your partner will start everything together. Exploring the temples, cruising the rivers on a tuk-tuk, taking in the culture in the street markets and having a gourmet meal while enjoying the view of the Bangkok skyline screams romance. This city never sleeps and never fails to keep travelers busy and excited. Thai massages are among the world’s best and are the perfect way to end a romantic afternoon together. 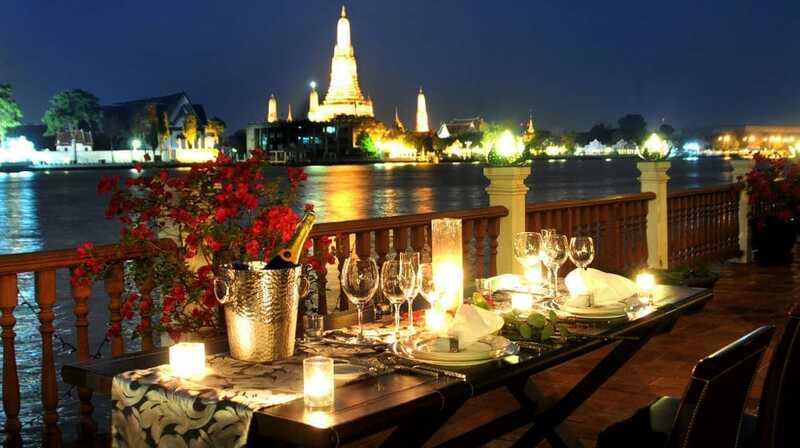 Bangkok is a romantic getaway for those that want both culture and big city life. 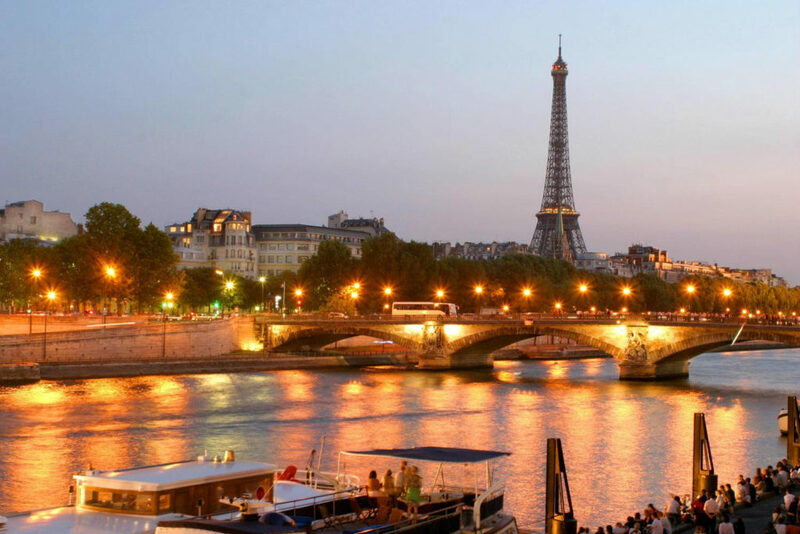 Well, Paris is actually known to be the city love, so there should be no confusion here as to why it’s one of the most romantic places in the world. This enchanting city is wonderful to visit all year around. Talking a stroll through the city streets, indulging in the chocolates and pastries from the endless bakeries and visiting the Eiffel tower are only a few of the unique romantic things to do in Paris.